WhatsApp launched its standalone Business app in January 2018, but only on Android. Now reports suggest WhatsApp Business for iOS is finally available in select markets. WhatsApp first announced its Business app in September 2017 and then launched the Android version in January 2018. Since then, there has been no word on WhatsApp Business for iOS until February, when many spotted a beta version of the app. It seems the testing has gone smoothly so far. According to WABetaInfo, WhatsApp Business for iOS is available in a few App Stores around the globe, including Brazil and France. As of now, there has been no announcement from WhatsApp about the launch of its Business app for iOS. However, users from Mexico, Brazil, Argentina, France and other countries have confirmed the availability of WhatsApp Business for iOS in their country. 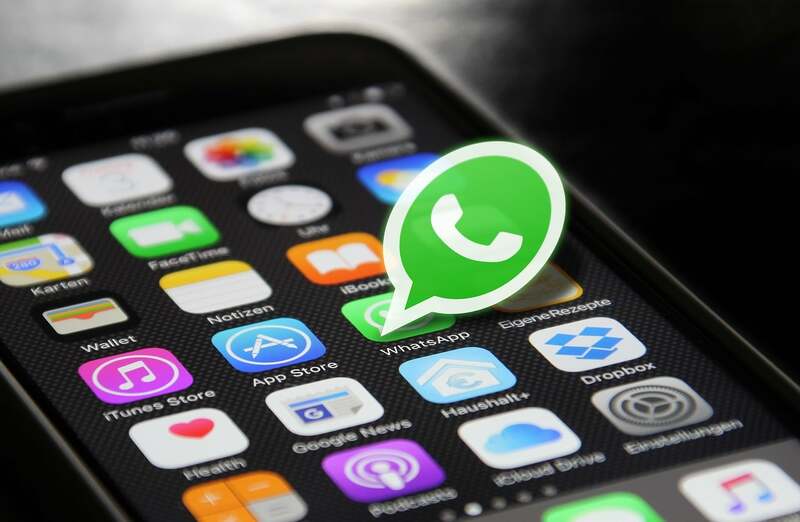 It is surprising that WhatsApp took so long to launch the iOS version of its Business app, especially considering that the Android version was launched more than a year before. As the name suggests, WhatsApp Business is a standalone app aimed at businesses. It allows businesses to contact customers directly and offers features like messaging, custom greeting messages and quick replies. The app also offers several customization options, such as a custom away message, information on deals and more. WhatsApp Business “was built with the small business owner in mind. With the app, businesses can interact with customers easily by using tools to automate, sort, and quickly respond to messages,” the description of the app on WhatsApp’s website states. It also allows businesses to add information such as working hours, address, and links to their website and social media accounts. WhatsApp’s Business app is free to use and download. In addition to the Business App, WhatsApp has one other product for businesses called WhatsApp Business API. This product is designed for larger businesses. It allows them connect with customers and send out notifications like boarding passes and receipts. This is an important part of WhatsApp because it is one of the few ways the messaging app can make money directly. Businesses have to pay to send notifications, and there’s also a fee for replying to a customer 24 hours after receiving their query. Facebook is reportedly working on one additional way to monetize WhatsApp. The social networking giant is said to be developing its own cryptocurrency, which would allow users to transfer money through the messaging app. The social network will reportedly use its cryptocurrency to facilitate remittances in India at first. The messaging app has more than 200 million active users in India, and the country also leads in remittances. Emigrants sent more than $69 billion home to India in 2017 and about $80 billion in 2018. Facebook’s digital currency could be pegged to the U.S. dollar. However, unlike bitcoin, which is decentralized, Facebook’s coins will be centralized. As of now, there is no confirmed release date for Facebook’s coin. However, the social network reportedly told exchanges that its coin can be expected in the first half of this year. Facebook has long been rumored to be planning a foray into the financial services market. The social networking giant hired former PayPal president David Marcus to lead its Messenger app in 2014. Then in May 2018, Marcus was put in charge of the company’s blockchain initiatives. Facebook reportedly conducted a major hiring spree last year, and as a result, its blockchain division reportedly includes about 40 employees. However, the company has been quiet about its blockchain division. “Like many other companies, Facebook is exploring ways to leverage the power of blockchain technology. This new small team is exploring many different applications. We don’t have anything further to share,” a Facebook spokesperson told Bloomberg in December. Although cryptocurrency has been in existence for about a decade now, it has yet to go truly mainstream. Complications in the mining process have thwarted its adoption. Many believe Facebook and WhatsApp could overcome this hurdle.